The year of 2016 is almost there and it brings along new hopes and promises. Read on to find out what your zodiac sign brings you in the new year. Each one of us is curious to know what the coming year holds for us. 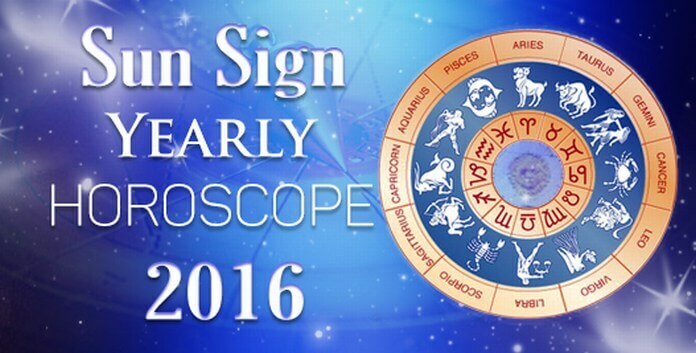 We all want to know about yearly horoscope 2016 predictions to know what future holds for us. We want to know about our love relationships, our love compatibility, our career, our finances, our health and various other things which are important in our lives. Whenever we are entering a new year, we are always confused but with horoscope predictions for 2015 for all zodiac signs and moon signs, you can put an end to all the ambiguity and be more confident. So let us read through the best predictions to know what 2016 has to offer us. 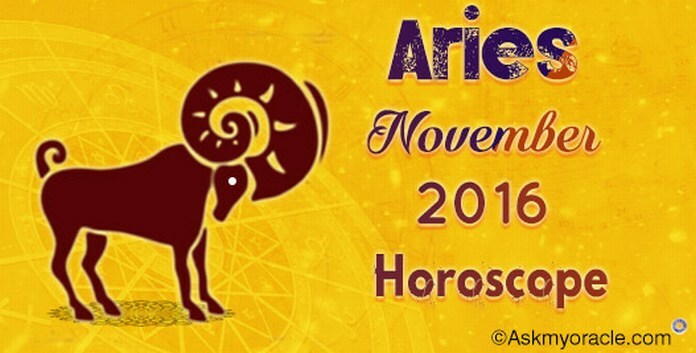 Aries horoscope predictions for 2016 suggest that people born under this sun sign are going to enjoy a great year. They are expected to get closer to their objectives and will hard to accomplish them. They may have to face lots of problems but with their optimistic attitude, they will be able to meet all the challenges and emerge successful. The year of 2016 for Taurus is predicted to be a time when they will be trapped in a conflict between the outside world and their inner self. It is the time when they must learn the art of improving their emotional strength and be successful. They can only be successful if they have the strength to face the challenges life is going to offer them. This is going to be an important time to act with patience and intelligence. Free Gemini horoscope 2016 forecasts the people under this zodiac sign will get all the time to focus and complete their pending works. It is going to wind up previous things before moving ahead with new ones. You need to have a pragmatic approach towards life in order to be successful in your ventures. You will have higher confidence levels this year but you will not miss on your track. 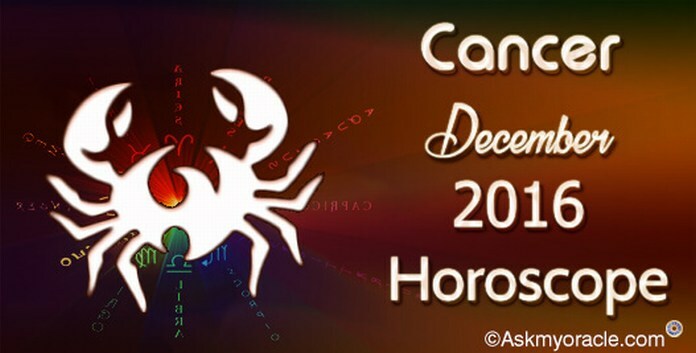 As per the Cancer horoscope 2016, all people under this zodiac are going to be positive about their lives. Their confidence in themselves is going to help them reach their goals. They are advised to be optimistic and aggressive in solving issues on the professional front. If there is an opinion, it should be shared with an open mind. Being realistic in life is going to pay them and they will enjoy success. The yearly horoscope for Leos for 2015 predicts that this year is going to be a year of growth for you. You will be blessed with opportunities and a positive approach. You will get success in your ventures. But in order to be successful, you will need to have a strong social circle which will play an important role. It is a good time to work on strengthening your spiritual self for better stability. 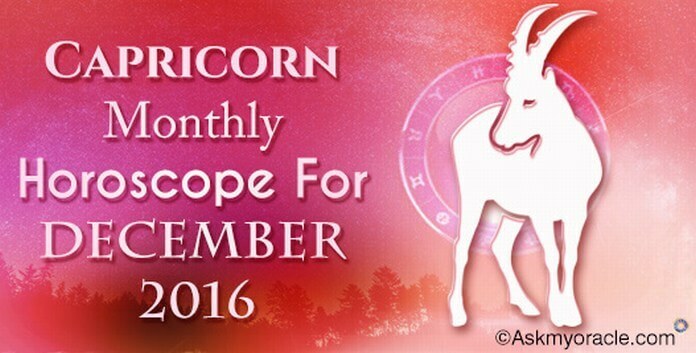 Free Virgo horoscope 2016 forecasts that this is the time when you will be infused with innovation. You are going to use your skills to achieve your goals. You may have to take some tough decisions to bring changes in your personality for better future and growth. If you want then you can enroll yourself for an educational course or seek help from experts for more growth. As per Libra 2016 horoscope, people born under this sun sign are advised to make the optimum use of their innovative skills to plan their future. They should be able to prioritize what they want in life and only then they will be able to accomplish the things they desire. With strong planning, they will be more confident with their actions which will bring them great success this year. 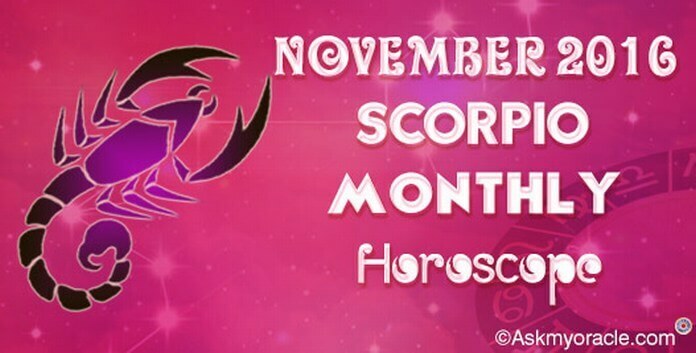 The focus of life for Scorpios as per yearly horoscope for 2016 will be their personal lives. They will come across wonderful opportunities which will help them bring the much needed change in their lives. But bringing a change will not be easy and they will have to work really very hard to make things happen the way they want. They will be full of energy and will face all the problems with strong head. 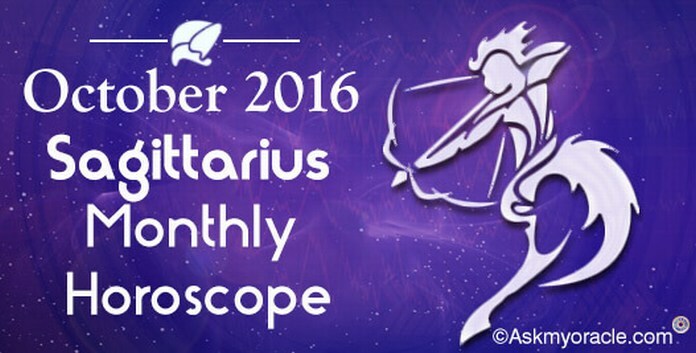 Sagittarius 2016 yearly horoscope suggests that they are soon to experience some nice changes in their lives. There will be growth with amazing opportunities that will help you focus on personal development. You will work on sorting out your relationships by taking some difficult decisions. You are going to enjoy the outputs of all the efforts that you have put in. 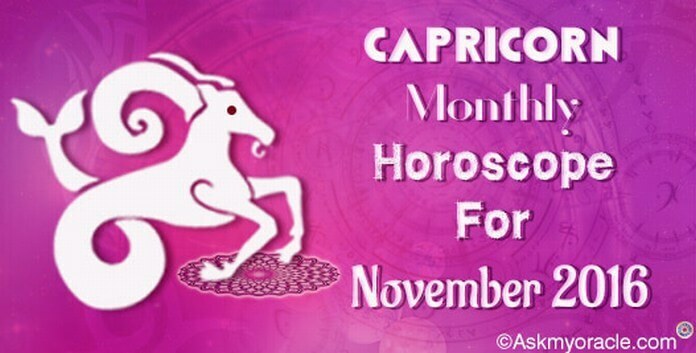 For Capricorns, 2016 yearly horoscope suggests that it is the time to put aside all the relationships which just for namesake. It is going to be a time when you will no longer carry your emotional baggage. You will be busy framing your goals and outlining your capabilities. You will in mood to learn new skills that are going to be helpful in enhancing your levels of performance at work. Just focus on what you want. The yearly horoscope for 2016 for Aquarius zodiac sign predicts that it is going to be a wonderful time to develop new social connections and involve in social interactions as they are going to prove helpful in your professional life. But make sure that you don’t put loyalty aside. It is time to experiment and play smart at work and put new ideas to action. According to the Pisces horoscope for 2015, it is a time for amazing growth opportunities. It is totally up to your caliber that how effectively you are able to benefit with these chances. This year you are advised to be more practical. It is time to come of your dream world and get into some serious action so that you can achieve what you have desired. With these details, you have now become more aware of your life in 2016.